We Are Buying Hilliard Houses! We Don’t Care About the Condition! Or click here to learn more about how easy selling your house can be! Every house and every situation are different. What is right for some people may not be right for others! Listing is NOT always the best choice! Sometimes a direct sale with its fast closing and zero out of pocket expenses can be more valuable than listing and hoping a buyer comes along. Not everyone has the time or money to go through that! We want to help you save money and keep more of it in your pocket! Life has enough things to stress you out, selling your Hilliard home doesn’t have to be one of them! Don’t Waste Time and Money, Get a Great Cash Offer Today, and Put Cash in Your Pocket By Next Week! Listing is no longer the only option when selling your Hilliard house. Agent fees and commissions can cost you an arm and a leg. Repairs and upgrades have to be paid for upfront if you want to get your asking price. And to top it all off, you will be gambling on everything. There are no guarantees on if or when it will sell. It can work in some situations, but for many others selling directly would put MORE cash in their pocket in the long run. We do not need to get financing or approval from any bank. We will pay you in cash, on the day YOU choose! received a property in a settlement that they weren’t prepared for. You don’t have to spend money listing your home when you choose a direct offer. 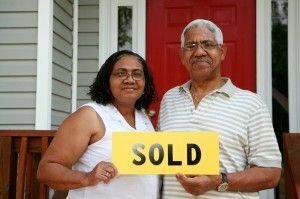 If you need to sell a house in Hilliard let us help you learn about the options available to you! You don’t have to deal with the stresses of listing your home! And it may not even be the best choice for you financially! Call us today at 614-300-5151 for a free, no-hassle, no-obligation offer! Right now Sell House Columbus is buying properties in Ohio with an emphasis on the Hilliard area! We are committed to paying great cash prices for homes in the area! We have helped hundreds of happy sellers and we want to help you too! Find out more about our real estate solutions now! There is no hassle, risk or obligation!